To import your product database from Hiboutik to Prestashop with ease, you will find two CSV files in « Products/Export-import/Export data » that respects the import requirements of Prestashop. Step 1 : Generate and download the files « Prestashop » and « Prestashop variants» on your computer. The first file is your product list and the second one all the details of variants for products with variations (combinations in Prestashop). Step 2 : In your Prestashop admin panel, Go to the Catalog/Products tab and click on the Import link from the Configuration icon in the top right corner. On the import page, select « Products » as import type, upload the first file (« Prestashop »), choose semicolon (;) as field delimiter and switch off all buttons. 1 by default (=active), or 0 if the product is archived. Category of the product. If it doesn’t exist in Prestashop, it will be created automatically. Tax ID from Hiboutik («Settings/Sales taxes »). Check that IDs are matching with Prestashop taxes IDs (Customize/International/Taxes), and modify the file if needed. Barcode of the product (barcode of the parent product if the product has variants). Very important because it is the key to link Hiboutik with Prestashop. Supplier of the product. If it doesn’t exist in Prestashop, it will be created automatically. Brand of the product. If it doesn’t exist in Prestashop, it will be created automatically. Quantity of the product if you track it into inventory. If the product has variants, quantities will be imported with the second file. Validate and check data in the Catalog/Products tab. Step 3 : Go back to the import page on Prestashop, select «Conbinations» as import type, upload the second file (« Prestashop variants »), choose semicolon (;) as field delimiter and switch on the button « Use product reference as key». The link between variations and the parent product is the parent product reference, that’s why it is important to activate this button. Barcode of the parent product. The variant type. 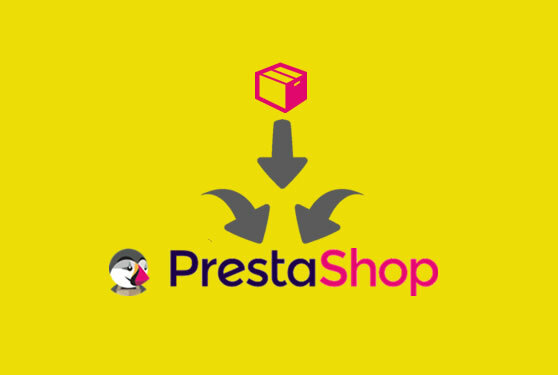 If it doesn’t exist in Prestashop, it will be created automatically. By default, the Type (=name displayed on your website when you select a combination) is the same as the variant type (=Name). The variant value (combination name). If it doesn’t exist in Prestashop, it will be created automatically. The barcode of the variation. Supply price. Only if it is different from the parent product supply price. Price difference (exl. Taxes) with the parent product selling price. Leave blank if no price difference. Quantity of the variation if the product is tracked into inventory. This entry was posted in MISC and tagged products, prestashop, import products.